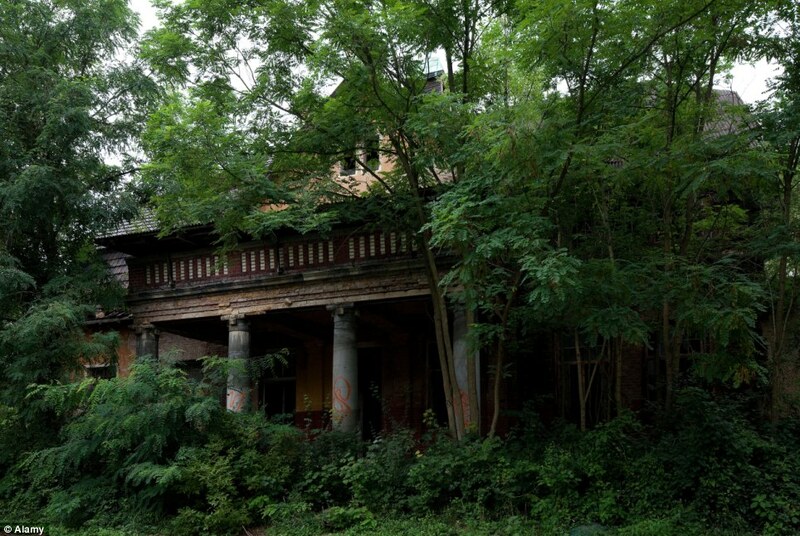 Beelitz-Heilstätten was a 60-building sprawling sanatorium was built in the late 19th century, to treat and rehabilitate the growing number of tuberculosis patients in the industrialized Berlin. 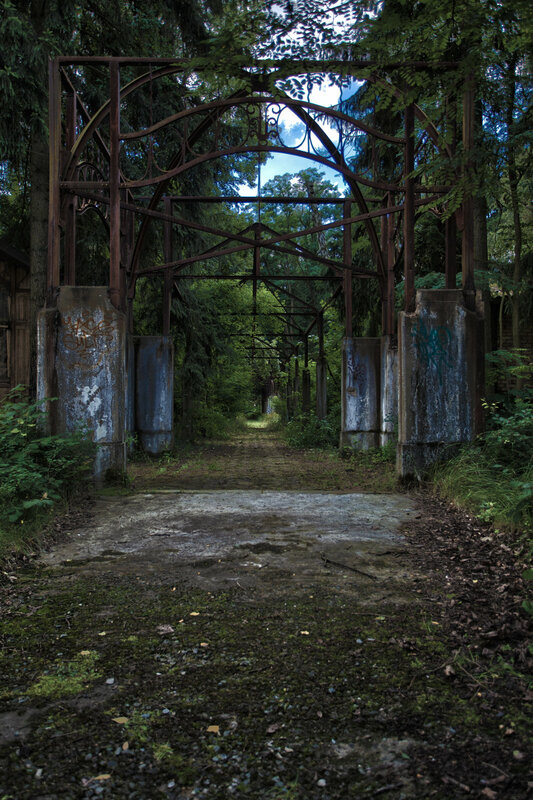 The sanatorium was converted into a military hospital for the Imperial German Army during the World War I. Young Adolf Hitler, who would go on to become the dictator of Germany recuperated in this hospital after sustaining a wound on his thigh at The Battle of Somme. The Soviets took over Beelitz Heilstätten in 1945 and turned it into the Soviet military hospital. Attempts were made to privatize the hospital complex (after the Soviet withdrawal from Germany) but it came to naught. Today few sections from the complex are used as a neurological rehabilitation center and as a center for research and care for victims of Parkinson’s disease. The rest of the building remained unused. Lack of maintenance and care has paved the way for trees and plants to encroach on the buildings giving it a feel of the desolated ghost town. The once pristine walls of the sanatorium are now littered with graffiti. The crumbling walls mutely witness the gradual ruination of Beelitz sanatorium. Vines and climbers have gleefully accepted the exterior walls as their prop while the courtyard is now overgrown with plants and looks like a miniature forest. Once this was a theater that witnessed the battle of life and death, today it is a theater watching the artwork of untrained urban explorer’s. Though dilapidated now, these rooms once was a sanctuary to the wounded Adolf Hitler. GDR leader Erich Honecker was treated for liver cancer in 1990. A lonely bathtub in a lonely room. Old board indicating the number of patients and various departments housed within; the ramshackle stairwell looks in need of maintenance. 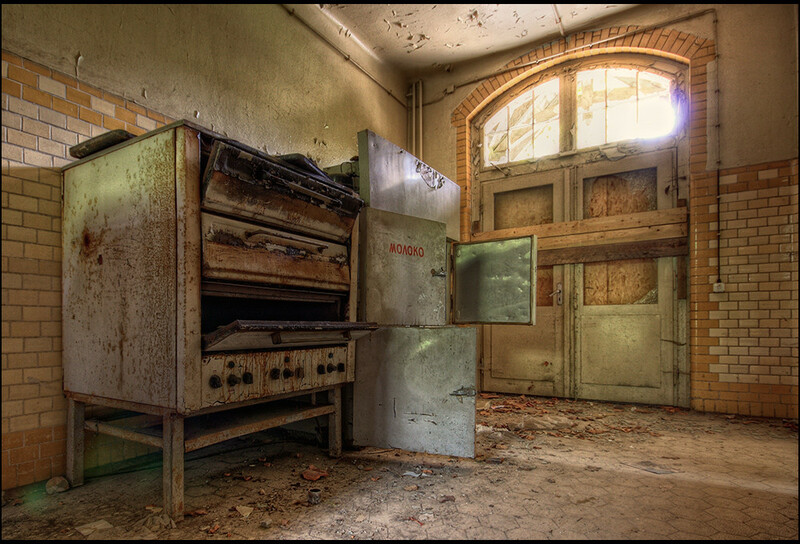 The beautiful tiles are falling down, beds are rusting and the bright lights of the operating theater dims. The forests reclaim the thriving hospital land. The 60 Building Hospital complex had its own butcher’s, restaurant, bakery, and laundry service. Next article 24 Wild Facts About “The Jungle Book” That Every Disney Fan Will Love!